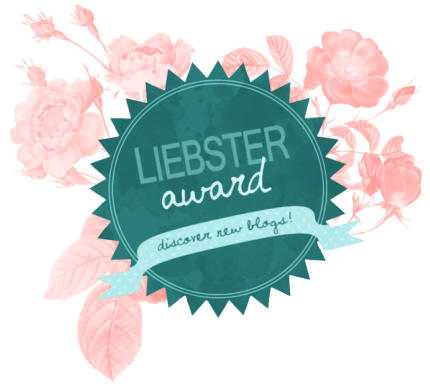 Last week, my friend Carolann tagged me in a blog post after being awarded The Liebster Award. It's a way to raise the profile of other bloggers and, since I've been finding and exploring so many new blogs lately, I was excited to participate! 1. What are you reading right now? 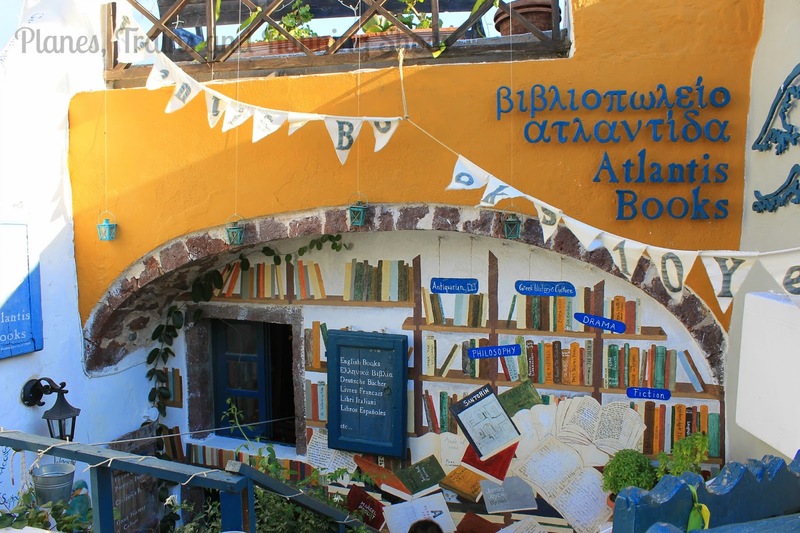 Atlantis Never Lost - The Story of Santorini...a book I picked up on our honeymoon at this adorable little book shop on Santorini. 2. What advice do you have for new bloggers? Focus on what makes your blog YOUR blog. Don't worry about what other bloggers are doing, always remember why you started blogging in the first place and work to maintain your unique voice. I've been blogging for five years and the blogging world has changed so much since then...some if for the better, some of it not as much. 3. How do you stay creative with your blog? In other words, where do you get your inspiration, and how do you come up with ideas for new posts? This is definitely something that can be a challenge. This year, I've started trying to plan out my posts for the month and I've definitely started using the Drafts tool. Sometimes, I'll write just three sentences into a draft post on something that I want to write about later...whether it's my thoughts on a particular subject, a flashback to somewhere I've been before or anything else! 4. What is your favorite thing about where you live? Washington, DC is an incredible place to live. 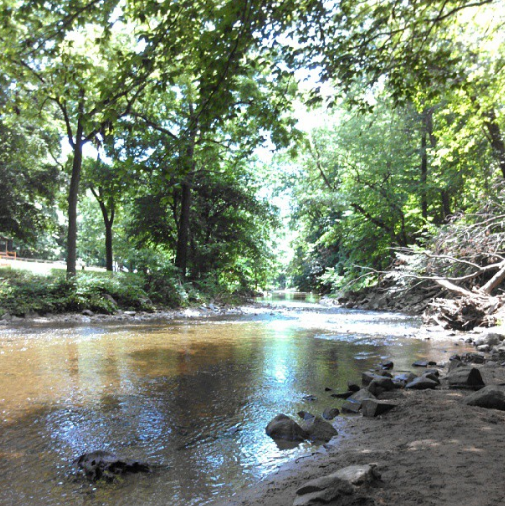 I love that I'm walking distance from everything: museums, restaurants, national parks, etc. I don't own a car and I hate driving so being able to just walk out my door and be surrounded my history is what makes me fall in love with this city a little bit more every single day. 5. Share a link to your favorite go-to weeknight dinner recipe! This edamame pasta is so easy and so delicious! Recipe in the comments section! 6. How would you spend an extra $100? Right now, I'm focusing on saving, rather than spending but if I had an extra $100, I'd probably spend it on a weekend getaway! There are a lot of super cute towns near DC that I haven't been to yet! 7. What’s the best place you have ever traveled to? Sarajevo, I fell in love with that city in a way I didn't think I ever could. 8. What is a skill you would like to learn? I'd love to learn to speak French! 9. What is your favorite TV show? I really like Sherlock, with Benedict Cumberbatch and Martin Freeman. I hate that Season 4 isn't coming out until next year! 10. Which blog post are you most proud of? Share a link! "Finding my Strong" I posted it just before I headed to Madrid for the 2012 Madrid Marathon. It was my 2nd attempt at a sub-4 race and up until that point, I really didn't think I could do it. Unfortunately, I didn't, but it's still my favorite post. For this award, I'm tagging Erin (Erin Runs Happy), Megan (Semi-Charmed Kind of Life), Tara (Running 'n' Reading), Dawn (Sneaker Therapy), and Erin (Love, Fun and Football). Here are the questions I have! 1. What is one thing that has changed for you as a result of blogging? 2. If there were no obstacles and you could pack your bags and leave tomorrow, where would you go? 3. If you came to visit me in DC, what would be the first stop on your itinerary? 4. Are you a baseball fan? Who's your team? If you're not, go here and pick one and tell us why you picked them! 5. What's your favorite season? What's your favorite thing to do during that season? 6. What is the first thing you do in the morning and the last thing you do at night? 7. If you could live in any place other than where you live now, where would it be? 8. What is your favorite blog post you've written? 9. What's the number 1 thing on your Amazon Wish List? 10. Do you still subscribe to magazines? What are your favorites? If anyone else wants to take on these questions, I'd love to read your answers! Leave a link to the post in the comments! Have a great weekend! Congrats on the award. It was fun learning more about you! I agree, DC is such a cool city. If you want to go on a weekend getaway I highly suggest Luray. It's about an hour west and so cute. My husband and I did a trip there and fell in love with the small town :)! The best place I ever traveled to is Alaska and I want to go back! The place I still want to go is Ireland.